These are only some examples which people can experience in their life, although career transition coaching can support you for many other professional challenges. Is career transition coaching really effective? 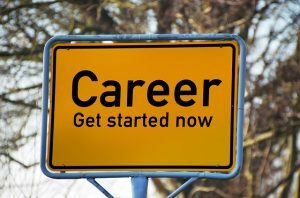 Career transition coaching is a form of guidance that can really help you only if you are ready for taking advantage of your career turbulence to achieve a positive outcome. If you decide to exploit this major change in your professional life to improve your career possibilities, and you are searching for a way to do that faster and easier, a career transition coach can certainly help you build the new foundations of the professional life you want to reach. How does career transition coaching work? Career transition coaching helps you simplify changes by setting up an action plan and strategy which suits your personal values. In this way a career transition coach helps you be more productive by concentrating all your skills in the most appropriate direction. How much will career transition coaching cost me? We offer you 15 minutes online career transition coaching session in order to clarify your goals and allow you to evaluate the potential of our coaching services. Feel free to write us in order to get your free online career transition coaching session.